CheriB Designs: Heidi & Mattie! I'm a big dog fan and have had a dog in my life for as long as I can remember! I think it's wonderful to have pets especially when you have children as the two become best friends! 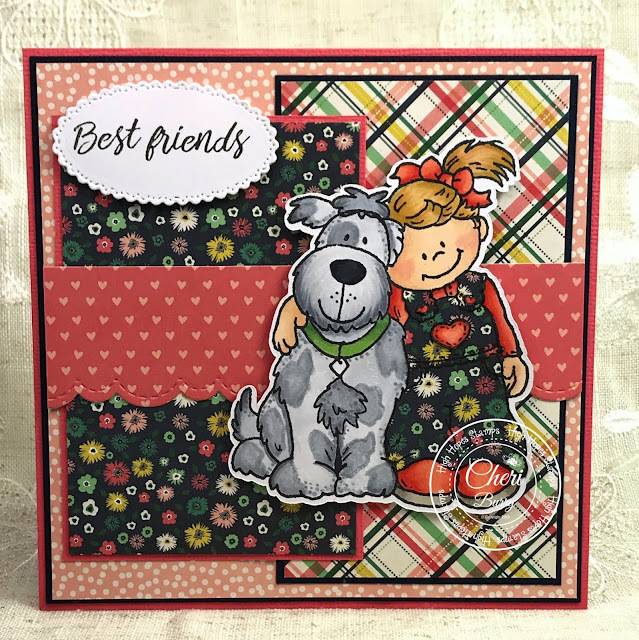 I am using the High Hopes stamp called "Heidi & Mattie". Don't these two look like they are the best of friends?!! I coloured Mattie up adding some grey spots to her with my Copic Markers. My paper this time is from the Echo Park Just Be You 6x6 collection. I decided to paper piece Heidi's overalls for a fun element! The sentiment "Best Friends Forever" is also from High Hopes and goes perfectly with this image! 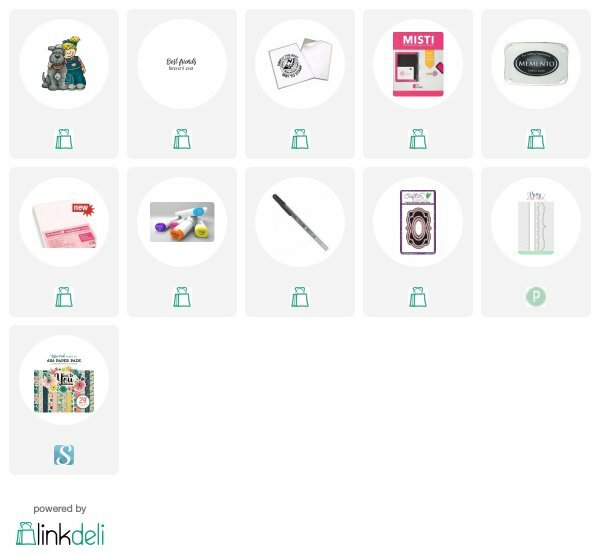 Here's an inside view of my card. 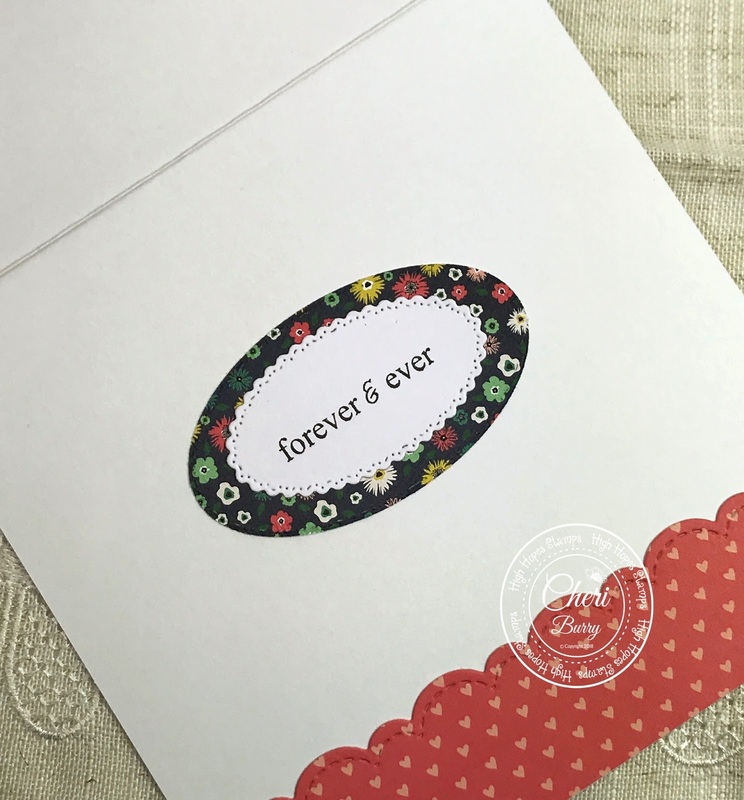 The sentiment is part of the "Best Friends Forever" stamp. I masked off the stamp and used part of it on the front and the other part on the inside of my card. It's fun to do different things with your sentiments! 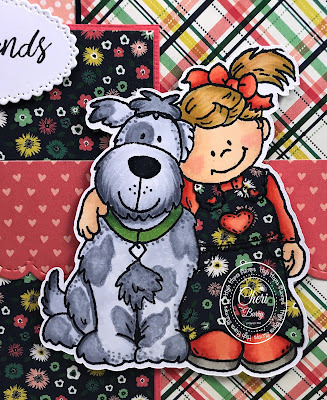 LOVE your colouring on the dog and your paper piecing! Splitting up the sentiment is perfect for this card! Another amazing make by you!!!!! Love this! Can you share who makes the white oval punch or die? I love it!! TIA Such a cute card with the paper piecing!